The SARS period was a hard period to live through. Singaporeans, and the citizens in this part of the globe have to get their working lives adjusted to disruptions and the fear that, if we don’t take care to listen to some of our health indicators, we are going to be in a lot of trouble. For the company it is tough as well, because everyone have to take their temperature and if you run a temperature, you cannot go to work. It did not help that in 2000 to 2002 we have a pretty heavy recession. As we are about to emerge from that, we get hit by SARS. I came out to work shortly after SARS. The employment situation for fresh graduates is not good. When I got my first job, a strange thought entered my head. I thought this would be my pay forever. Of course that is not the case. 1 month later, I got my first increment. A grand total of $17.00. 1 year later, I got another $98.00. So of course I was wrong about my pay not going up. And there is a lot of reasons for it, which I would try to go through in this article. I do find that for many of us, we fell into the mood that our situation, values and beliefs would always stay the same, and would not change from this point going forward. And we are often wrong about it. We will go through some examples in today’s article, then provide some useful tips to re-frame and not always go into this forever mood. When I think that my pay will not change at 24 years old, I suffered from something that seems to be known as End-Of-History Illusion. And it has got to do less with age. As we age, research have shown that future changes decreases. However, whether we are 18 years old or 58 years old, we run the same risk of underestimating how little we will change in the future. The experiment above done by Professor Dan Gilbert is interesting. They asked testers what is the music that they like 10 years ago (left) and what is the music they currently like. And then they asked how much they would be willing to pay to see the current musician (right) they like perform, and how much they would be willing to pay to watch the musician they like from 10 years ago perform. The answers are different. They favor paying more for the musician that they like NOW. 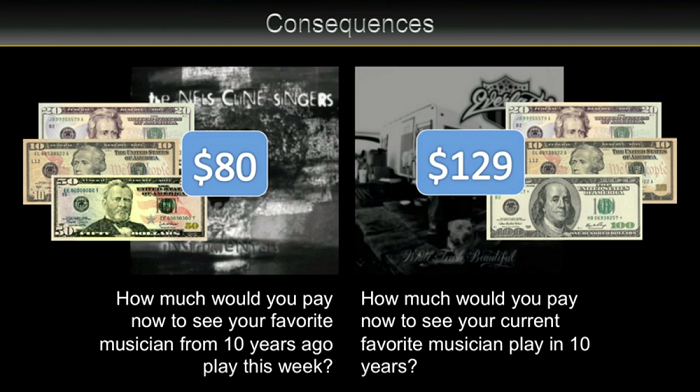 However, if we do not change, we should be willing to pay the same amount for the musician we like 10 years ago. Thus, it seems, we do change, and probably will change more in the future. Market Composition Will Change. Value will have its Turn to Shine. International Stocks will Outperform USA Equities. Since InvestmentMoats.com is an investment site, lets start off with a look that investment climate will change. And one good example of change is the current trade war that we are seeing now. If there is a lesson here, it is that the markets, and the world change more now, and will probably be much different in the future. And the way you invest has to be more anti-fragile, like what Nassim Taleb will say. Ben Carlson has a good article where he went through some comparison of investing internationally versus his home country, the USA. Credit Suisse Global Returns Year book have this very humbling chart that shows the relative size of different stock markets in the world in 1899 versus 2017. It looks so different from in the past. USA became the super power. UK lost its position as a super power. USA is the darling stock market now. If you ask the local investors, they feel that the Singapore stock market is dead, and the place that they should focus to build wealth in the future are in USA and China. The good performance this year looks painfully lopsided. 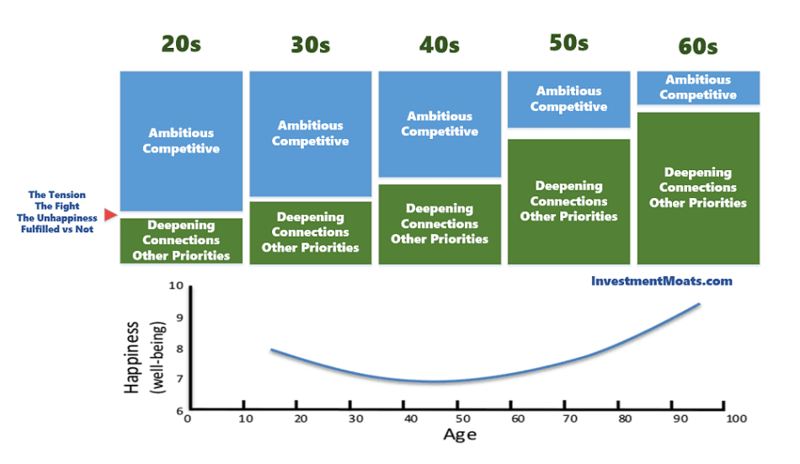 Investors are very momentum based most of the time, and tend to stick to the sectors that does well. 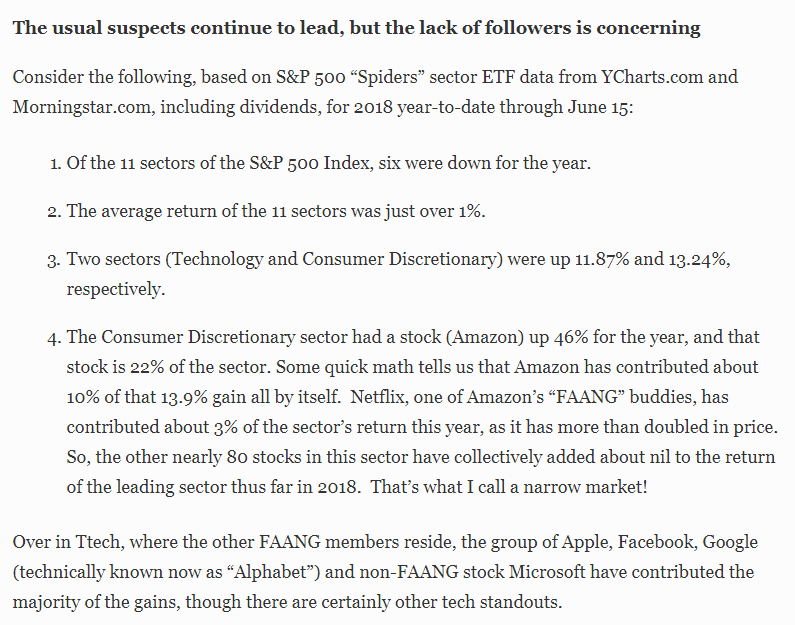 Based on the value perspective, they should be re-balancing to the sectors that is not doing too well. But people vote with their money that things would not change, that the tech stocks are the new normal. Ben Carlson also provided the following return breakdown between MSCI EAFE versus S&P 500 versus Fama and French International Value. MSCI EAFE index represents the performance of the developed markets that is outside of USA and Canada. EAFE stands for Europe, Australasia, Far East. Right now, MSCI EAFE and International Value looks to be in a rut. However, the older folks who have been investing in the 2000s would remember USA being downgraded as an investment destination versus the BRICs (Brazil, Russia, India and China) or the emerging market. Market climates does change, or asset value do revert to the mean. Nowadays, those graduates from NUS School Computing or graduates who studied STEM courses often came out to an employment climate where they can earn above average salary. The premier employment options are greater. Just 2 days ago, at the SGX Orb Awards, Ethan from Investing Note was sharing how Grab takes in the best of the best masters students and their salary is high. This seem to go against the logic of my masters colleague a few years ago. My colleague was reasoning that given that an employer paying extra for a masters degree or paying someone with relevant work experience, the employer are likely to get more value paying someone with relevant work experience. Well, in a world where there are a lot of money floating around, rational evaluation might take a back seat. Even if you are not a masters student, if you manage to get into a good government organization with a good academic degree, well funded firm to do software engineering, or an USA or China tech giant, private wealth management, your salary is going to be above average. The issue is that, like in my case, you will likely see that the lowest your income can reach is the current salary. Your salary are likely going to be like this, or go up. In my real life experience, I find there is a lot of truth to that. As you get more experience, even if you switch to another domain of work, your salary at most take a slight pay cut but general do go up over time. We are talking about a change from a technical role, to pre-sales , business development or becoming a product manager. The danger here is to be over optimistic of how long this continuation will last. If you think that things will not change, why would you choose to save or put away more of your disposable income into wealth assets? We save for a specific spending goal and if not, we save for rainy days. If you believe that your life will not change, there is no need to save for rainy days. The reality is that for some, they do go on to earn more than what they are currently making. This becomes a problem because previously, if you do not anticipate any changes, you will not plan to save a little more for the rainy days. Now that you need it, you cannot build up your wealth for security purpose immediately! The rate of home ownership in Singapore is high. However, I realize there is a common mindset that the first home that you purchase, you will spend the rest of your life in it. The reality is that, people grow out of their homes. Either a home is too small for a growing family, or that the demands for school and work means that people move. Some do upgrade after 7 to 10 years to executive condominiums or private condominiums for investment purposes. I would contend the too small problem did not hit a lot of people, since their preference is to get at least a 4 room or 5 room, which is pretty right sized for a typical household with 2 children. As they think that their future lives would stay the same, they are not afraid to spend more on renovation and furnishings. They hit the problem when…. their lives do change in the future and a lot of these furnishings and renovation work depreciate over time. When it comes selling, they cannot embed additional value to these worn out furnishings. The bigger danger is that you assume that your level of happiness will stay the same. 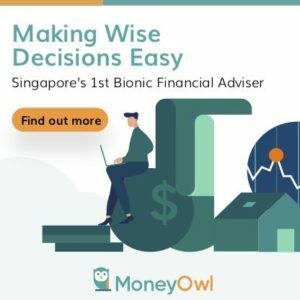 If you been to our Investors Exchange 2018, you would have saw Christopher Ng’s presentation that your happiness goes down as a young adult from the age of 20…. all the way to the age of 46…. before becoming more happy. At your midlife, you suffer from midlife crisis. However, researchers removed these factors and realize the curve still happens. Midlife crisis happen, regardless of how externalities affect you. This is probably a research topic for another day, to be filed in the financial independence materials section. However, the main tension why this occurs is that there is an internal fight between our culture to be ambitious and competitive and what provides happiness. 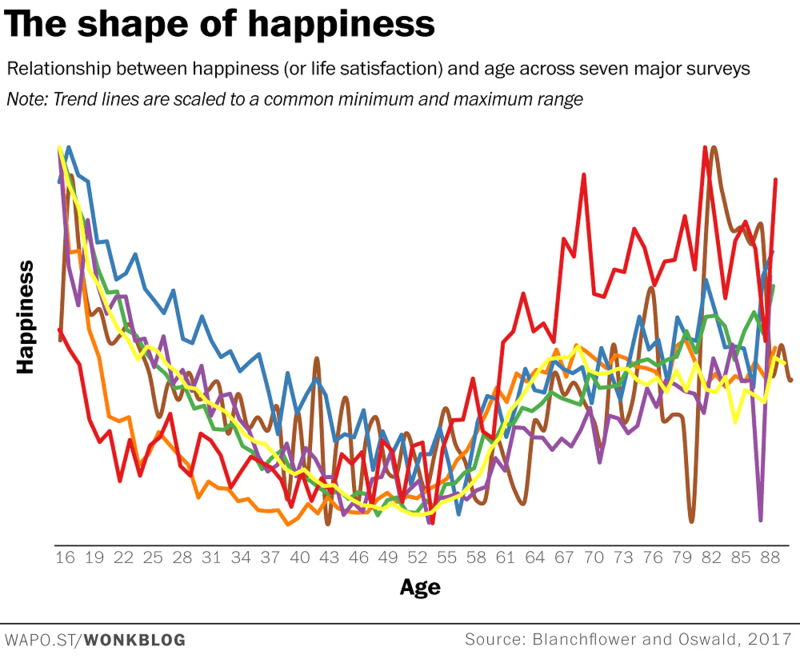 In this case, some research shows that when you develop more deeper relationships, and have deeper connections with either your work, or some “work” out of your main paid work, you become more happy. Now we tend to be competitive early in our career and when we achieve our goal, we were told to aim higher. So we shifted the goal post. And we wonder how do we find that elusive fulfillment. It is often when we realize we have to put down the competitiveness then we start being more happy. My friend Chris, in his presentation, do makes a case that it coincides with the period where your parents likely passed away. Perhaps one of the biggest forever fallacy is the over-estimation of how we can preserve our wellness. I had the same problem when I was I was a young adult. I thought that I can do overtime easily in my 20s, I cannot imagine why my older colleagues couldn’t. To me it is simply a matter of choice. And I told myself not be get to a stage where I am as lazy as them. It gets worse because genetically I am somewhat “privileged” that if I eat a lot, I would not show it in any way. Not just wellness, in your 30s, you might have less time. You would have more time in the 40s as your children become older (and don’t want you to disturb them so much). The danger here is to the YOLO folks. Yes you only live once. But make sure you don’t survive for long. If not, all your decadent living (in terms of health, and wealth) is going to take advantage of the power of compounding and come back in ways you least expect. I will short their 30s and 40s or buy put options on it. We expect whatever life decision we take to be implemented. Because we will implement it forever, it creates a lot of resistance to carry it out. And because we don’t carry it out, we never enjoyed the benefits that come with doing it. Often it is learning a little about our selves. When I shared my meal prep, some find it difficult to implement because they would have to meal prep for the rest of their lives, and they do not know how to cook. When I said that you should track your spending, some take it as to gain the benefit of this, you have to do it forever. The same can also be said about eliminating certain food, or perhaps going the vegan route. There is a real fear in people’s eyes when they wonder if they can do this for the rest of their lives. Here is a pet topic of mine…. and its a topic that is rife with a lot of end-of-history illusion. You see to plan for retirement you need a lot of assumptions. A very common problem is that we tend to think from this point forward how we live our life is not so different in the future. Different asset class rate of return would be similar as the situation now. For a lot of us, we are accumulating money over a 10 to 30 year period. A lot of things would have changed. My philosophy about life is pretty different from 8 years ago. And I do believe that it would change in the future. So what this could mean is that…. you start at 23 years old planning for something that is good for you 30 years later, only to realize when you are still around 30 years later, its not as great as you think it is. Or you do not want it any more. Why Do We Suffer from This Problem? Dan Gilbert says that even in their research, they cannot be sure. One possible reason is the difference between the experiencing self and the remembering self. We are able to remember what happened to us but we cannot accurately measure the things we experienced. Thus, there is a tendency for us to underestimate how much we could change in the next 10 years. It is this flawed ability to measure accurately that makes us suffer from this. However, the bigger problem could be that, we think that we can influence our future very strongly, and therefore, it is likely to change less than we think it should. How do We Prevent Ourselves from Falling into this Mental Trap? I think a large part of the problem is that we lack knowledge about the future. If we know that this future has a high probability of occurring, it is likely you would do things in a different manner. You would have prepared for it. Fortunately, a lot of the things that we encountered we can have a way to figure out. 1. Talk to People Who have Taken the Same Path. In a lot of ways, it is talking to the older folks who have done something similar, who had more experience than you. Such as speaking to a mentor. What they do is that they put scenarios that you have not considered, into the frame to be considered. They also will share their experience, list out pitfalls and opportunities. In my case, things could have turned out differently if I discuss the subject of work, employment with some more experience white collar job uncle, some masters student who had work a little. I was a total Noob years ago. Had I know that income growth is also a mandatory permutation and it factors into the wealth building equation (read my wealthy formula), I might have spent my 20s differently. The bigger problem is to bringing up something we might not be so aware about to discuss. After all, how do you bring up something that is not known to you to discuss with someone? What we hope is for their experience to point out these unknown to us. This means that it is important to form deeper friendships with people of different ages, different walks of life. If the friendship is not deep enough, then how likely are these nuances be discussed? 2. Read Extensively About History. As wealth builders, a lot of how to build wealth, we learn from the guys who have done it in the past successfully. And we try to reflect and learn the successful stuff from them. Through books and videos, we also picked up how the markets like in the past. Learning about history, frames how we view the financial world. If you do not read much, you would have thought that what you are experiencing today, will go on forever. This is why the guys like Ben Carlson and Morgan Housel, after reading the books on portfolio management, investing, eventually reads more books on history. This may be because we can pick up what have always been similar throughout history, and what changes a lot. You would have pick up in the past, how long bull markets last. How long bear market lasts. And they are not always the same duration, always a spectrum. We would know no 2 bear markets look the same, but human psychology rarely changes. We would know things revert to the mean. We would have known bull markets are built not on calm markets but very highly volatile periods. Reading and learning helps a lot because, its difficult to wish to know what you don’t know, and the only way is to do it more, in the hopes that you come across it. It also means adequate time for reflection is required. 3. Have enough “What If?” Considerations. This tip came from J.D Roth of Get Rich Slowly. The idea is that instead of the main path that you embarked on, be curious enough to think about the other scenarios or other possibilities that could happen. This is a tip ingrained to those who practice Stoicism. You do enough “Negative Visualization“. For example, you think about what happens if you reach your 30s and your capacity is much worse off than the fit you now. What are the implication? Is it that your current achievement due solely to your hard work and not due to any advantage you have over the competition? What if you stay at this level and in this vocation of work in that scenario? Do you have a viable solution for it? This might be pessimistic, but it does put your frame of mind in a defensive position. Enough pessimism and you might do something to guard it. 4. Embrace that your Life will Change. One solution is to default to a philosophy that our lives will change over time. Nothing is static. If we think this way, then a lot of things would be treated a form of project. There is a finite timeline and a specific outcome. It is only after this evaluation that some changes are implemented on a permanent basis. If you are doing meal prep, or going vegan, you can do it for a finite duration. The stress from doing something unfamiliar becomes the ultimate test to whether we gain enough benefit, or we see enough benefit to do it for a longer term basis. If we go back to discuss the goal of financial independence, we will realize applying #1, #2, and #3 will still make financial independence a worth while pursuit. Going through #2 gives you an idea based on common white paper whether your plan is realistic or unrealistic. Talking to people by doing #1, will allow you to perhaps see if the goals are a worth while pursuit. The beauty is that, even though you realize you do not wish to be fully retire, your pursuit would make you eligible for a scheme that fits your needs as well. So it is seldom a failure. Share with me: What are the things in the past you think that will happen forever or stay the same, but over time you realize that is not the case? 2000s — EM & value stocks outperformed. 2010s — US & growth stocks outperformed. 2020s — I’m betting that EM & value stocks will outperform. Low P/E markets like Singapore and some other emerging markets will do very well. However I suspect there will be a nasty downturn & recession before the next stage starts. We certainly have our deficits in predicting the future while we have the tendency to compare the present to the past. We also tend to get history wrong by neglecting the impact that accidents and chance had on them. The future will always be unpredictable. Let’s deal with it, stay humble and nimble to adapt to changes. And then focus on enjoying the present. Hey Andy, you highlighted something that I did not mention in that, due to our errors in tracking we might have gaps in how we perceived our past as well.